The walls have never been so engaging, intriguing and the one that instils a spirit of sportsmanship. Our fully equipped squash court is the best place to burn those extra calories OR play just for fun. It’s a healthy breeze of rejuvenation and just an ideal sport to unwind of a busy work schedule. 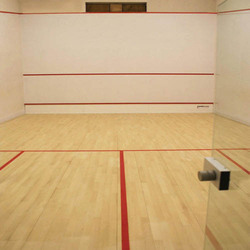 Come, unplug from work at our professionally built squash court at Club O7. We specialize in offering squash courts. 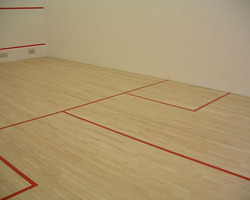 These Squash Court are specially made to be installed in the form of back walls. These are tested for their strength and durability. The back lass in quash court is preferred arrangement to allow spectators to see the game. Build Up Area / Size: 32 ft x 21 ft. = 672 sq. ft.
Our organization is engaged in offering a wide assortment of Squash Court Flooring Service to our clients.